Designed to hold the weight for electrical cable as it hangs in vertical, sloping or horizontal positions. Easily installed and removed using no special skills or tools. Permits cable to expand and contract without loss of holding action. Instantly relocated or repositioned which saves time and labor. Conforms to shape of cable or object being supported. Used on any application such as supporting cable, metal rods, hose, and tubing. Specific applications include buildings, poles, excavations, mine shafts, towers, elevators, potheads, terminators, or other structures. When selecting the correct support grip, refer to the list below to determine the grip style best suited for your application. 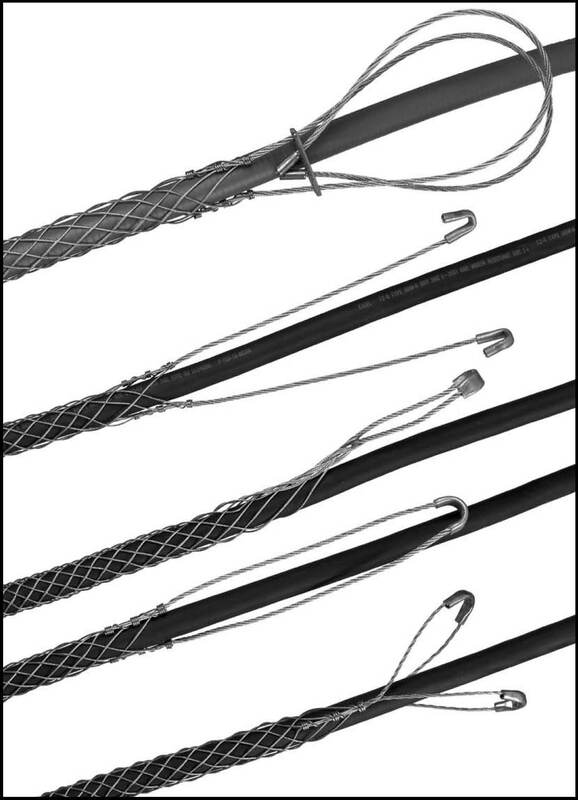 Determine your cable outside diameter. 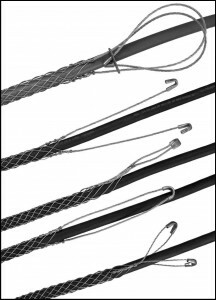 Whenever possible, use a closed mesh that assembles over the cable end. If the cable end is not available, use a split mesh. Select an eye style that suits your needs. Standard Support Grips-Support vertical runs to 99 feet and loads to 600 LBS. Heavy Duty Support Grips-Support vertical runs over 100 feet and loads over 600 LBS. Service Drop Grips-Support light duty cable, fiber optic cable and service entrance cable. Conduit Riser Grips-Support cable in rigid conduit.